Yes, I already did one “ghost animal” this month, but since SyFy did a movie titled Ghost Shark, I couldn’t pass this up. 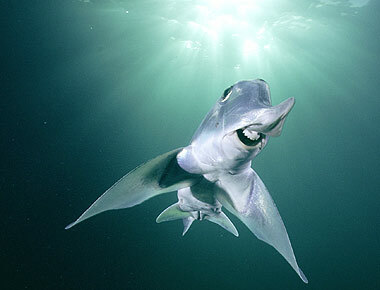 Because there really is such a thing as a ghost shark. I haven’t seen Ghost Shark myself, but I’ve been made to understand that it is a modern masterpiece. I’m not talking about the kind of ectoplasmic sharks that materialize out of slip’n’slides to eat small boys, though. The real ghost sharks are actually not sharks at all, but a group of creatures called a chimaeras. When I say ‘chimaera’ I am not referring to the creature in Greek mythology, but rather a living group of fish related to sharks. These fellows represent some of the earliest body forms that jawed fishes ever took, right down to the large, placoid scales on the face. Most species also live in the deep ocean, which means that they get that extra dose of horror to their looks. 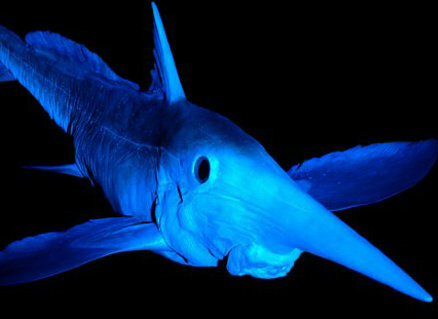 This is a 420 million year or more order of fish; far older than sharks, which they diverged from 400 million years ago. They were the earliest members of the class Chondrichthyes, the cartilaginous fishes. 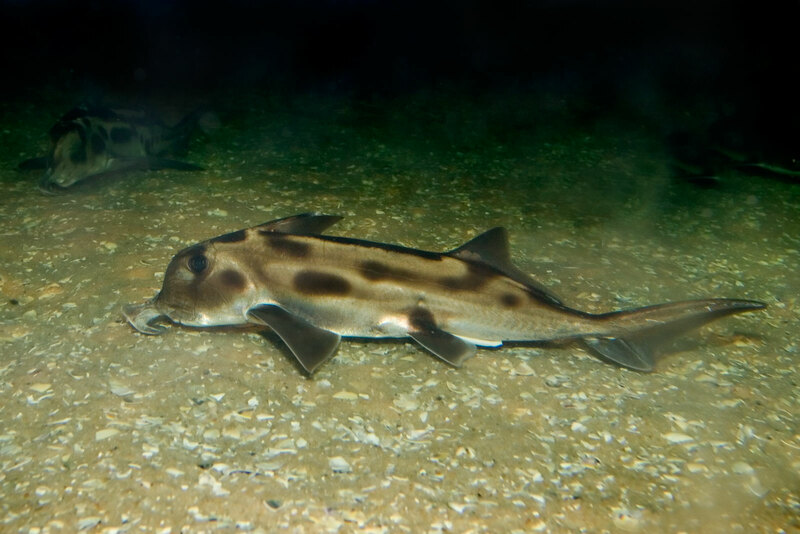 The living members of Chondrichthyes are the chimaeras (Holocephali), the sharks (Galeomorphi and Squaliformes), and the rays (Batoidea). Chimaeras are divided up into three families, the plough-nosed chimaeras (Callorhinchidae), the shortnose chimaeras (Chimaeridae), and the long-nosed chimaeras. (Rhinochimaeridae). That’s a lot of focus on the nose, and with good reason. Chimaeras can have some weird snouts, which makes the members of these three families instantly identifiable. 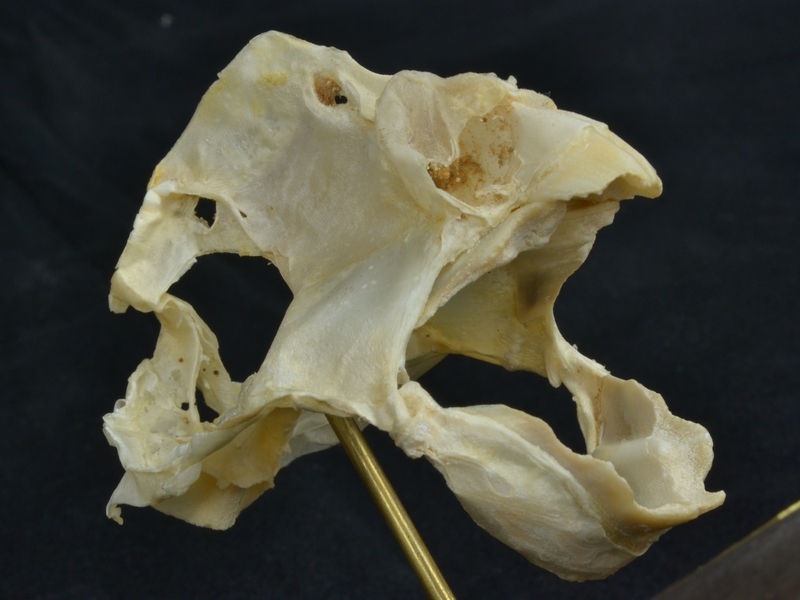 Close up of Hydrolagus melanophasma, a shortnose chimaera, from Bustamante et al., 2012. Rhinochimaera pacifica, a long-nosed chimaera. Here’s a rundown of bizarre physical features that chimaeras have. Those noses are all covered in specialized sensory organs called electroreceptors that look like small pits. These are most obvious in the shortnose chimaeras, which are sometimes called rabbit or rat fish due to the rodentlike “spotted” appearance of their faces. The smalleyed rabbitfish, Hydrolagus affinis, makes me uncomfortable. 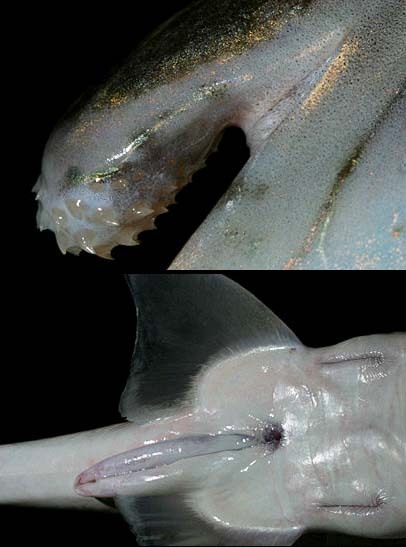 Like sharks, male chimaeras have claspers located on either side of their genital opening. However, they have a third, retractible clasper- on their head. 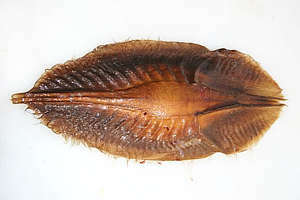 This clasper doesn’t deposit sperm, but does help the male to hold the female’s pectoral fin during copulation. Most chimaeras also have a venomous spine on their pectoral fin that is used in defense. I couldn’t find much about the potency of the venom, but some reports indicate that it creates painful wounds accompanied by swelling in humans. 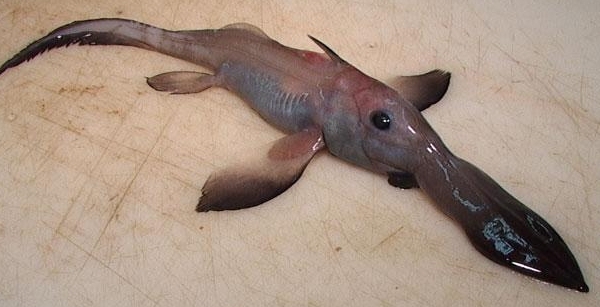 Rhinochimaera africana has a prominent spine and wiggles that big nose around on the ocean floor to detect prey. Adult chimaeras do not have teeth. The young ones do, but these fall out and are replaced by three pairs of large dental plates in adulthood. They use these to grind up hard-shelled crabs and mussels that they pull up from under the sand. These plates also give them lovely smiles. Their egg cases are weird-looking. I dunno what else to say about them. And finally- and perhaps most intriguingly- chimaera skeletons contain traces of a third pair of limbs. Because of their placement in the fishes, this suggests that some of the earliest vertebrates may have had three pairs of limbs and later lost one. Neat! Chimaera: not super creepy, but definitely weird. Bustamante, C., Flores, H., Concha-Pérez, Y., Vargas-Caro, C., Lamilla, J., & Bennett, M. (2012). Primer registro de Hydrolagus melanophasma James, Ebert, Long & Didier, 2009 (Chondrichthyes, Chimaeriformes, Holocephali) en el Océano Pacífico suroriental. Latin american journal of aquatic research, 40(1), 236-242. Dean, B. (1906). Chimaeroid fishes and their development (No. 32). Carnegie Institution of Washington. Didier, D. A., Kemper, J. M., & Ebert, D. A. (2012). Phylogeny, biology, and classification of extant holocephalans. Biology of sharks and their relatives, 2nd edn. CRC Press, New York, 97-124. Lund, R., & Grogan, E. D. (1997). 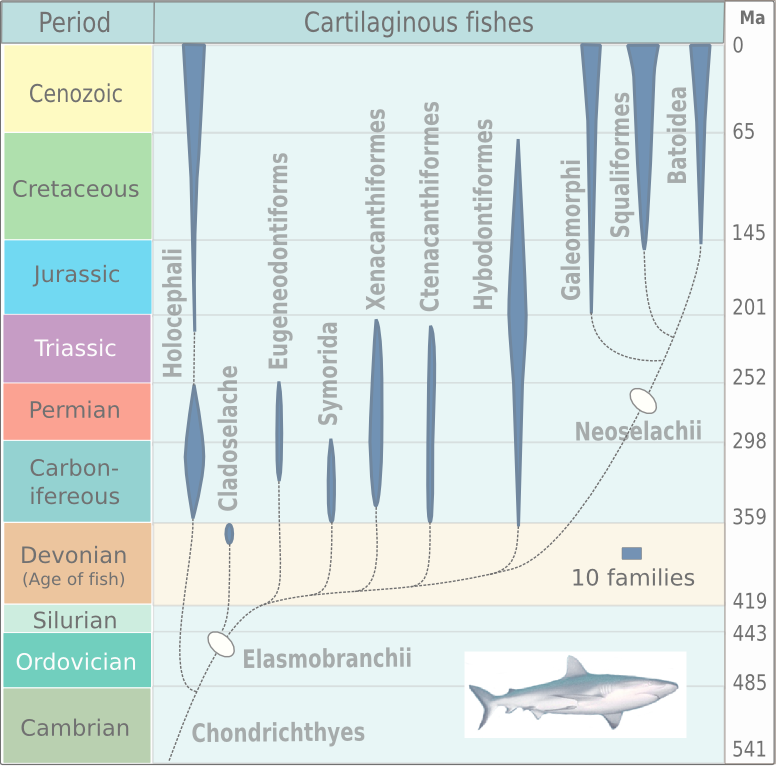 Relationships of the Chimaeriformes and the basal radiation of the Chondrichthyes. Reviews in Fish Biology and Fisheries,7(1), 65-123. Patterson, C. (1965). The phylogeny of the chimaeroids. Philosophical Transactions of the Royal Society of London. Series B, Biological Sciences, 101-219. 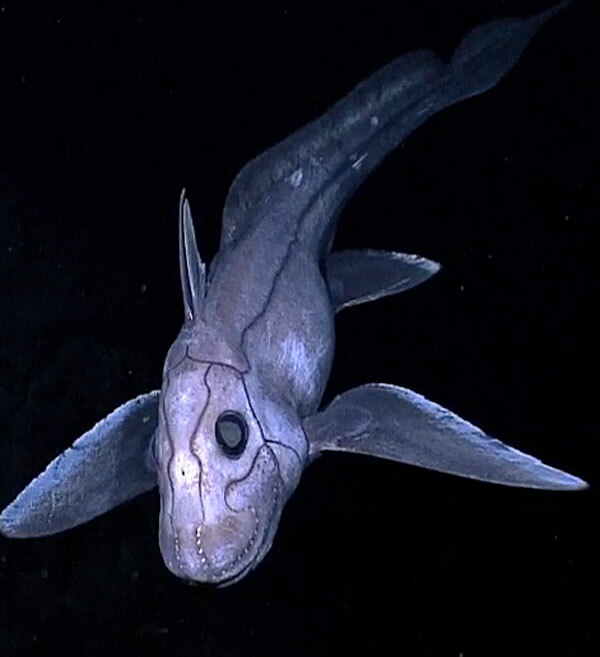 Tagged chimaera, creepy creatures, fish, ghost shark. Hi there! I just finished Darkeye, and now you have another regular reader! Could I trouble you to ask which reference talks about the third pair of limbs chimera have? That’s a little factoid I’d never heard before. It’s mentioned in the text “Chimaeroid Fishes and Their Development” by Bashford Dean very briefly at the bottom of page 4. It’s actually interesting because I’ve found almost nothing about the limb rudiments in most modern scientific literature, yet most pop-sci articles mention them. I would have thought that they’d be of more interest to scientists, but then again not a whole lot of research has been done on chimaeras. Hi, and do you have a pdf of that book? Or at least of that page? Can you send me, please? I’m afraid I only have access to the linked version above, sorry.